For hassle-free auto repair in Germantown, MD, your first stop should always be Liberty Auto Center. 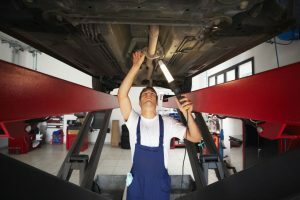 We have designed all our vehicle maintenance services around offering affordable, quality workmanship to the community. From routine maintenance to major automotive repair, our expert technicians can handle the job no matter the size. We have certified technicians with over two decades of experience on-hand at all times. The community needs an automotive repair shop they can trust and rely on. No one can foresee a problem occurring with their vehicle, but that does not stop a blown tire, a misalignment, or an issue with the exhaust system from happening. Along with the best auto repair in Germantown, MD, Liberty Auto Center also features extensive inspection services. Bring your vehicle in today, so we may inspect the safety and emissions systems of the vehicle. Both of these systems need to pass inspection to be driven legally in the state of Maryland. Germantown, a city in Montgomery County, has a population of over 90,000. It is the third most populous town in Maryland, just after Baltimore and Columbia. The original plan for Germantown involved dividing the city into a single downtown area and six town villages. Today, everything is combined into one sprawling metropolis, complete with the Germantown Public Library, Black Rock Arts Center, and Regal Germantown Stadium 14. Liberty Auto Center has long offered auto repair to the community in Germantown, MD. Our services are affordable, and most importantly, they are a quality you can rely on. Call Liberty Auto Center today at 240-686-6613 (Flower Hill) or 240-912-5625 (Redland). We would be happy to help you.